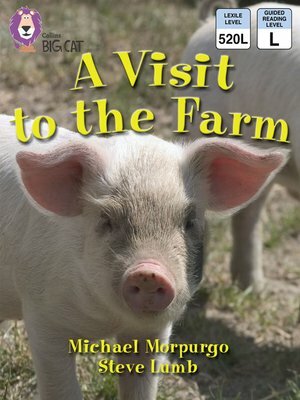 The renowned children's writer Michael Morpurgo has written this vivid account of a child's stay at a farm, told in the form of letters home and illustrated with photographs of animals and children on location at the farm. Humorous and engaging, it conveys the fun and excitement of working closely with animals. Turquoise/ Band 7 books offer literay language and extended descriptions, with longer sentences and a wide range of unfamiliar terms. Text type - A recount of a visit. There is a timetable of the week's events on page 22 and an index on page 23 to help children recount the story. Curriculum links -Geography: Plants and animals in the local environment; Citizenship: Animals and us.